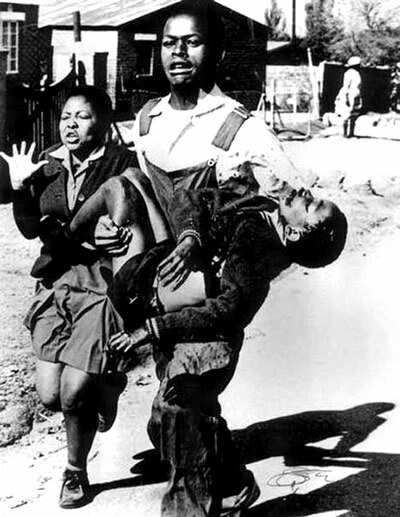 Hector Pieterson (1964 � June 16, 1976) became the iconic image of the 1976 Soweto Uprising in apartheid South Africa when a news photograph by Sam Mzima was published worldwide. "If poetry is not social then it ceases to have a function beyond perfume..."
on a mound of clay after school. though a million hearts might break.